Is your KitchenAid Blender Blade missing, leaking, dull or broken? You may need a new KitchenAid Blender blade 9704291. 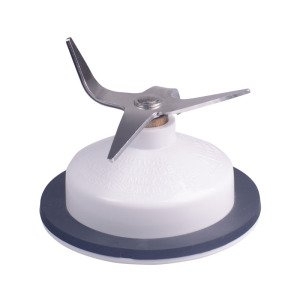 This blender blade fits many older KitchenAid Blenders and restores thorough blending performance to your blender. Leaky blender blades are history when you replace with this original Kitchen Aid blender part. Hand wash carefully - these blades are sharp! This blade ships with a new gasket to ensure leak-free performance. 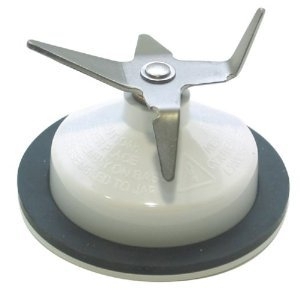 This blade set will not replace earlier blade sets which were dome-shaped and used a gray gasket. This part replaces part numbers KSBGCB, 9706716, 9704203, 9704267. KSB3, KSB3WH0, KSB3AC0, KSB3WH, KSB3-4, KSB3-3, KSB5, 4KSB5WH0, KSB5WH, KSB5-4, 5KSB5-4, KSB5SS-4, 5KSB52-4, KSB5-3.